The PU evolved over a five year period from the 1936 Mk1 version into the main production Mk2 model. 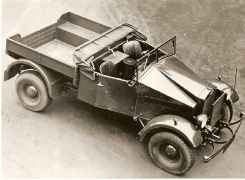 Early production vehicles had hub caps fitted and the rounded bonnet of the early MCC 15 cwt CS8. The 8cwt MCC PU seems to have been intended for use in the signals role, from its beginning. 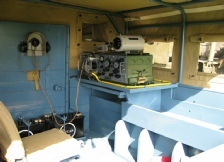 Approximately half of the PU vehicles built were the FFW (“Fitted for Wireless”) version, which had elaborate fittings, including a table, and special fitments for the wireless accessories. Also fitted was a gearbox-driven PTO generator for charging the wireless batteries. The No.1 wireless set was fitted until 1938/39, when the No.11 wireless set became available. This pre war built Mk 1 PU is pictured in Palestine. It displays the Royal Corps of Signals badge on the radiator. 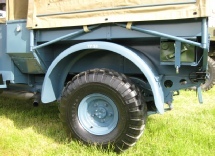 The Mk 1 was fitted with the civilian style bumber bar. The two occupants wear pith helmets in typical tropical getup. The Mk 1 PU has not survived today , none are known of. This Mk 2 PU is seen during fording trials. This Mk 2 PU is pictured around 1938. The door marking reads ” A CORPS SIGS ” HMD 602 is a civilian registration plate, apparently the UK civilian authorities of the time required British army vehicles to carry a civilian registration as well as the army registration. Again, it is finished in a darkish green, it is fitted with military pattern tyres, probably DUNLOP GP ” S ” pattern. The later production Mk2 was changed from around late 1940, it featured a higher windscreen ( about 2 1/2″ higher ) to raise the canvas cab cover above the crews head, and the smaller standardised headlights. An early publicity shot of a PU personnel car. UK archives have revealed that about 11,500 PUs were built between 1936 – 1941. The MCC PU served in the early campaigns of WW2, including in North Africa, where it performed admirably. During the BEF retreat from France in 1940 approximately 40,000 vehicles were abandoned and many were subsequently used by the Germans. Some MCC PU’s were salvaged and re-bodied by the Germans. 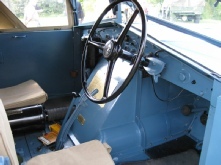 The 8cwt 4×2 PU configuration was taken up by other British companies, Humber and Fordson, during 1939/40. The Humber PU was based on the Snipe saloon chassis, while the Fordson WOC1 was based on their 1939/40 light commercial chassis. These vehicles featured the same rear body of the MCC PU and many were fitted out as wireless trucks. Because of a need to rationalise the many different makes and sizes of the British army’s vehicles , the MCC PU, along with other makes in the 8cwt class, ceased production in 1941. The MCC PU shared some components with its bigger brother, the 15cwt CS8; the engine, gearbox, steering box, autovac petrol pump and smaller parts like instruments etc. 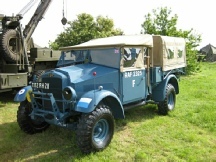 During 1940/41 a small batch of the MCC PU 8×4 4×4 vehicles were built. Approx. 1000 may have been built in total. These vehicles used the same side valve engine of the 4×2, but the cam profile was modified to give an extra 15 BHP. Only two known complete examples of the MCC PU 4 x 4 model are known to exist, one in the UK and one in the U.S.A. Surviving examples of the MCC PU model are rather scarce, to say the least. Most of them seem to be located in the UK and France, where some were converted into garage breakdown trucks after WW2. 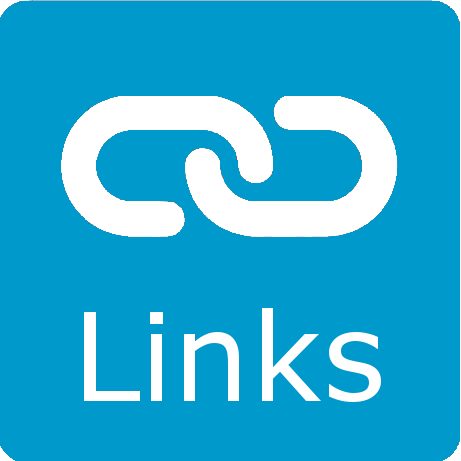 A few examples have been located in Australia. Australian army units posted to the Middle East were issued with vehicles of British origin and among them were MCC products. Contemporary photos show PU’s being used by the 6th Aust. division in Palestine circa 1940 . The returning AIF units came home with their British origin vehicles snugly tucked away in the cargo holds of their ships. Another MCC PU was seen in daily use by a grocery store in Melbourne’s SE suburbs in the early 1950’s. These 4 pictures show the PU FFW (wireless) version. A rare RAF variant, restored with great attention to detail. Club's annual "rally" combined with the AGM.